NEW DELHI: France waived taxes worth 143.7 million euros (Rs 1,200 crore) to a French-registered telecom subsidiary of Anil Ambani’s Reliance Communications in 2015, months after Prime Minister Narendra Modi’s announcement of buying 36 Rafale jets, leading French newspaper Le Monde reported Saturday, giving a fresh twist to the deal in the middle of the Lok Sabha polls. While the French embassy here said a global settlement was reached with the firm under legislative and regulatory framework, the defence ministry said any connections drawn between the tax issue and the Rafale deal was totally “inaccurate” and “tendentious”. In October 2015, six months after Modi announced in Paris about the Rafale deal, the French tax authorities accepted 7.3 million euros from Reliance Flag Atlantic France as a settlement as against original demand of 151 million euros, the French newspaper reported. As per current exchange rate, the amount waived was Rs 1,123 crore. Reliance Flag owns a terrestrial cable network and other telecom infrastructure in France. Following the report, the Congress stepped up its attack on the government on the Rafale deal and alleged that the Reliance received the tax waiver due to Modi’s “blessings” and that he acted as a “middleman” for Ambani. Modi had announced the procurement of a batch of 36 Rafale jets after talks with the then French President Francois Hollande on April 10, 2015 in Paris. The final deal was sealed on September 23, 2016. 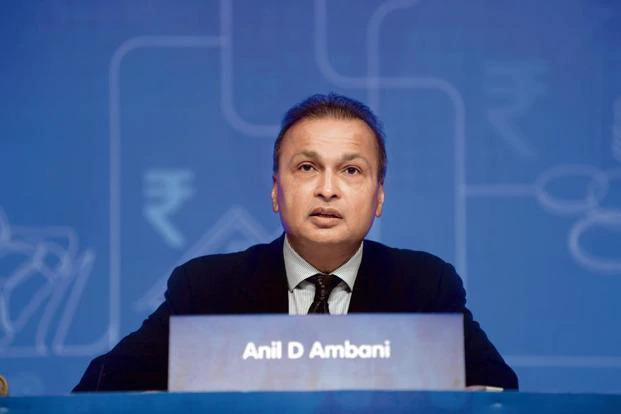 The Congress has been alleging massive irregularities in the deal and has been targeting the government over selection of Ambani-owned Reliance Defence as an offset partner for Dassault Aviation. The government has rejected the allegations. The French embassy, in a statement, said a global settlement was reached between the French tax authorities and Reliance company, in a tax dispute pertaining to the period 2008-2012. “This settlement was conducted in full adherence with the legislative and regulatory framework governing this common practice of the tax administration. It was not subject to any political interference whatsoever,” it said. The defence ministry said neither the period of the tax concession nor the subject matter of the concession relate even remotely to the Rafale procurement. “Any connections drawn between the tax issue and the Rafale matter is totally inaccurate, tendentious and is a mischievous attempt to dis-inform,” it said. However, Reliance offered to pay 7.6 million euros only as a settlement but it was French tax authorities refused to accept the amount. The authorities conducted another probe for the period 2010 to 2012 and asked the company to pay an additional 91 million euros in taxes, the report said. “During the period under consideration by the French Tax Authorities – 2008-2012 i.e. nearly 10 years ago, Flag France had an operating loss of Rs 20 crore (Euro 2.7 million). French tax authorities had raised a tax demand of over Rs 1100 crore for the same period,” the official said. “As per the French tax settlement process as per law, a mutual settlement agreement was signed to pay Rs 56 crore as a final settlement,” he said. Following the story, Congress upped the ante against Modi on the deal. “This is called zero sum choices, startling tax concession and Modi ‘kripa’ (blessings),” Congress’ chief spokesperson Randeep Surjewala told reporters. He claimed “layers of crony capitalism” involving Modi and Ambani are now being unveiled. “PM Modi is acting as middleman for Anil Ambani. How many other companies in France have got a tax benefit? Is this not a quid pro quo for the purchase of aircraft? It is clear only one watchman is the thief,” Surjewala alleged.